Tacone is one of my favorite take-out food joints. 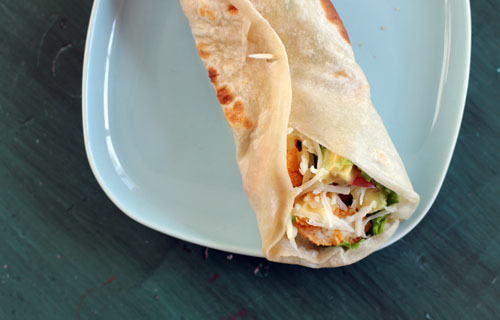 They have great wraps and the best homemade potato chips EVER. Sadly, there are very few Tacone restaurants in the world and I hardly ever get my fix! While I know I’ll never be able to replicate their potato chips, I can copycat my favorite Tacone wraps. My most favorite was always the Malibu Melt. It’s simple but oh-so-delicious. And the homemade version is just as good as the restaurant. 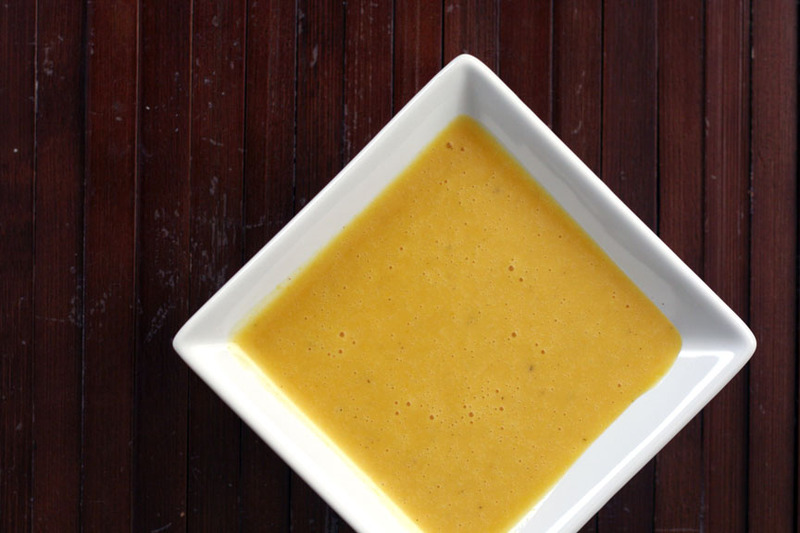 Bonus: this recipe is super quick and easy, which is always my favorite kind of recipe! Inspired by the restaurant Tacone, one of our favorites! 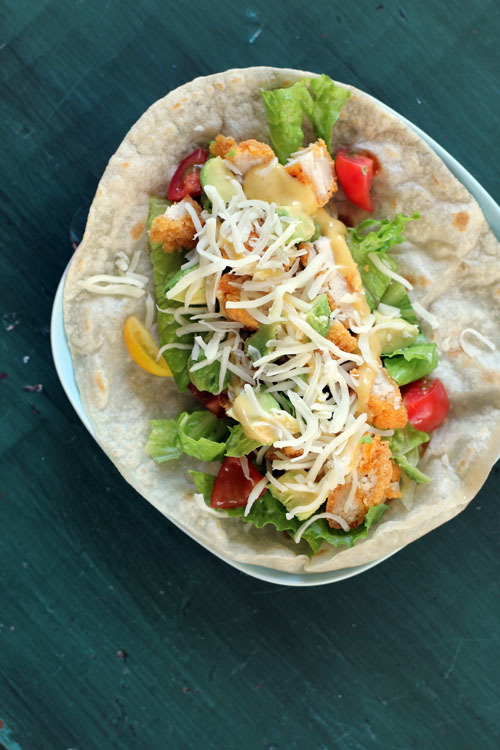 Lay out the flour tortilla and spread some honey mustard dressing down the center. 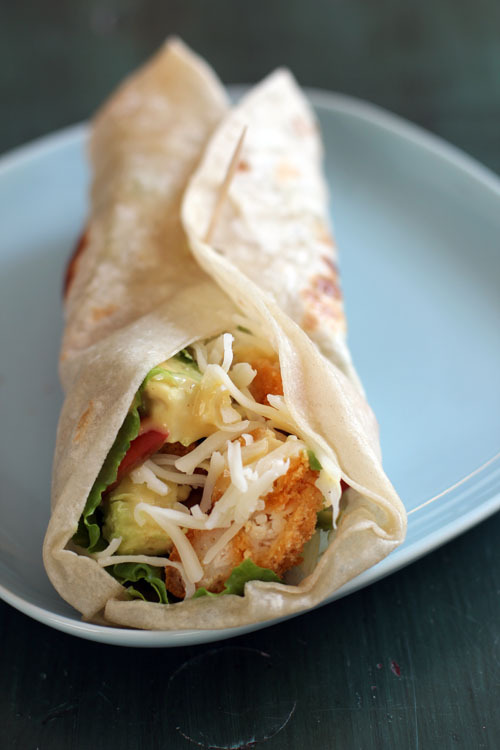 Add the chicken, tomatoes, lettuce, cheese, and avocado. 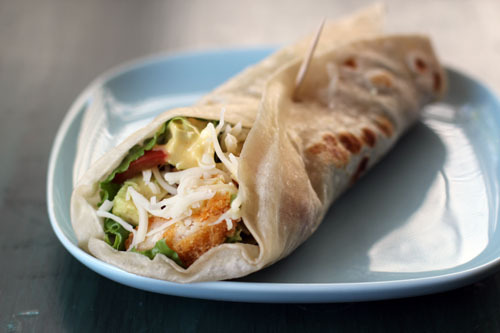 Top with another drizzle of honey mustard then wrap it all up like a burrito! I love honey mustard. In fact, I went through a phase in college where if there was something with honey mustard on the menu, I always ordered it. In fact, it was overkill. I’m not so obsessed these days, but it’s still a favorite sauce and dressing for me. I love Ken’s Steakhouse Honey Mustard Dressing. But last night it was all gone. I was making chicken paninis and really wanted honey mustard. I’ve tried to make it in the past, but it wasn’t very good…of course, that was pre-Internet when you couldn’t find 2 million recipes in 2 seconds. So last night I found this recipe and it was delish. I even crossed the Ken’s honey mustard off my shopping list today – sorry Ken!